Mali is a country full of rich culture and complex history, and it is also one of the greatest and most important countries in Africa. The north of the country lies in the Sahara Desert, and the Niger and Senegal Rivers flow through it. Mali is well-known as a huge producer of gold and salt, making it a very important country on the African continent. But, it’s not just salt and gold that Mali is known for. There is actually a vibrant and thriving music scene in the country, and this has produced many excellent musicians, who have gone on to have success around the world. There are plenty of hugely talented and creative Malian artists out there, and you might even have heard of a few of them. This is a list of some of the best-known musicians to hail from the Republic of Mali; see if you recognize any. This group actually formed in a refugee camp in 1979, across the border in Libya. They have spent the majority of their careers living in the northern desert region of the country. Their success and perseverance has mirrored that of Mali itself in many ways. The group rose to global famed and recognition during the ‘00s, when Mali was undergoing a more peaceful period. Their 2007 album Aman Iman: Water is Life became a big hit and actually sold steadily throughout Europe. The band released its most recent record Elwan, earlier this year. 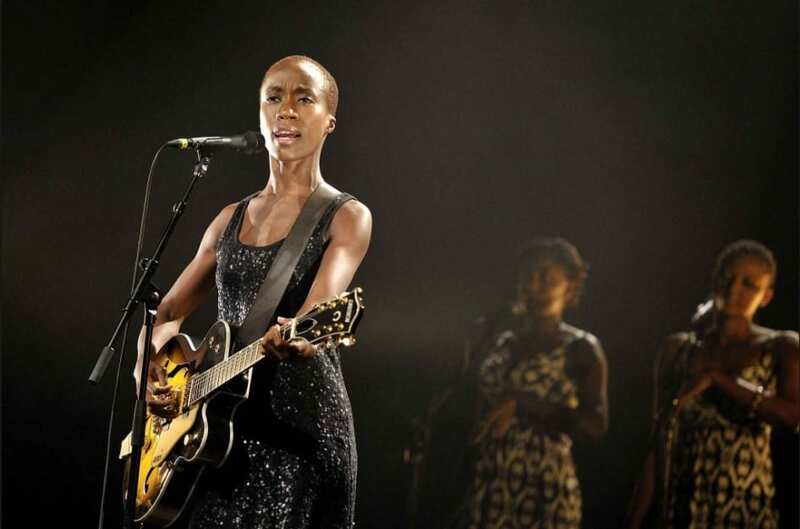 Rokia is flying the flag for the women of Mali and remains one of the country’s most talented and intriguing musicians. The daughter of a diplomat, from the town of Kolokani, Rokia sings in the Bamana language and has proven herself to be a highly accomplished guitar player. In 2013 she came to global attention after performing a set at Glastonbury Festival. Rokia has enjoyed modest success worldwide, and this looks set to increase in the coming years. Africa has such diversity when it comes to music and the kinds of musicians they produce. So, it should come as no surprise that we have got a successful African hip-hop group. Tata Pound has become immensely popular throughout the country, and are not scared to air their political viewpoints either. The group has grown a strong audience for hip hop in Africa, and look set to rest on the fringes of global recognition. 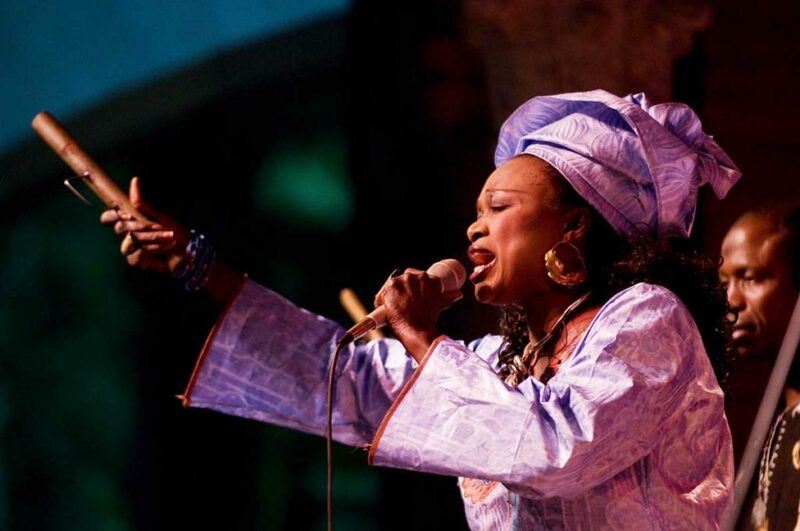 Oumou is one of the more contemporary Malian performers and hails from the Southwest region of the country. Her music is serene and beautiful and takes a major influence from the so-called wassoulou genre. This is a genre of music popularized by Malian women and focuses on female issues such as childbirth, fertility, and religion. Sangare is one of the most famous artists to practice in this genre, and she is often referred to as The Songbird of Wassoulou. Having been active since 1990, Oumou released her most recent record earlier this year and shows no signs of stopping anytime soon. As you can see, Mali has a wonderful music scene and a very diverse set of artists representing the country. The musicians listed here are among the most famous and influential in the country. Their careers have really helped to put Malian music on the map, and they continue to inspire the younger generations.